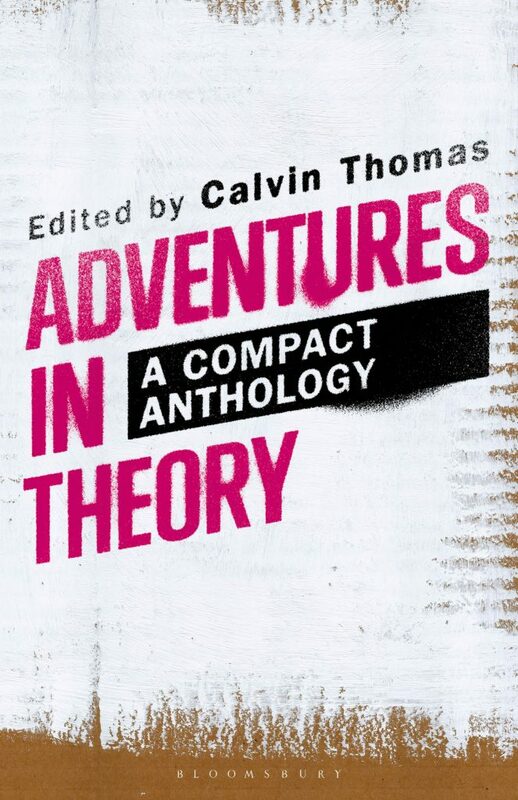 Calvin Thomas offers two sample syllabi for incorporating Adventures in Theory: A Compact Anthology and Ten Lessons in Theory: An Introduction to Theoretical Writing into your literary theory course. I: Syllabus for a sixteen week course in Contemporary Critical Theory that would use Adventures in Theory as sole text. Antiphysis + Identity = Ideology? Calvin Thomas is Professor of English and Director of Graduate Studies in English at Georgia State University in Atlanta, USA. He is the author of Ten Lessons in Theory: An Introduction to Theoretical Writing (Bloomsbury, 2013), Masculinity, Psychoanalysis, Straight Queer Theory: Essays on Abjection in Literature, Mass Culture, and Film (2008) and Male Matters: Masculinity, Anxiety, and the Male Body on the Line (1996). He is the editor of Straight with a Twist: Queer Theory and the Subject of Heterosexuality (2000), and Adventures in Theory: A Compact Anthology, now available from Bloomsbury.